At under 3" high and 4" wide, the Echo Express SE II is uncannily small. As such, it's ideal for professionals on the move but it's just as happy on the desktop. Sonnet's Echo Express SE II enables you to connect two high-performance, professional pro video capture and processing, digital audio interface, DSP accelerator, FireWire, RAID controller, 10 Gigabit Ethernet, eSATA, and other PCIe cards to any Mac® with a Thunderbolt port. Accommodating cards up to 7.75" long, this compact Thunderbolt 2-to-PCIe card expansion chassis supports nearly every Thunderbolt-compatible PCIe card on the market, including double-width (PCIe card + daughter card) cards. Measuring just 6.5" wide by 4.6" tall by 11" long, the Echo Express SE II takes up little space wherever you work, be it in the studio, on location, at your desk, or in the edit suite. Like all Echo Express chassis, the SE II has two Thunderbolt ports that support daisy chaining of up to six devices to a single port on your computer. 20Gbps Thunderbolt 2 technology-equipped computers are here. The original 10Gbps Thunderbolt interface provided breakthrough bandwidth for external expansion, more than sufficient to support the maximum performance of most PCIe cards. However, some high bandwidth cards such as 16Gb Fibre channel, multi-port 10 Gigabit Ethernet cards, or multiple bandwidth-hungry cards require more than 10Gbps. Thunderbolt 2 removes this barrier by providing more bandwidth for demanding applications. The Echo Express SE II's Thunderbolt 2 interface takes full advantage of this increased bandwidth to ensure optimum performance from installed cards when the chassis is connected to a Thunderbolt 2-equipped computer. Need to connect to a computer equipped with 10Gbps Thunderbolt? No problem, the SE II is fully compatible with earlier generation Thunderbolt computers as well. The Echo Express SE II's PCIe 2.0 x8 slots support two half-length+, full-height, single-width PCIe cards, or one single-width card plus one double-width card. Double-width? 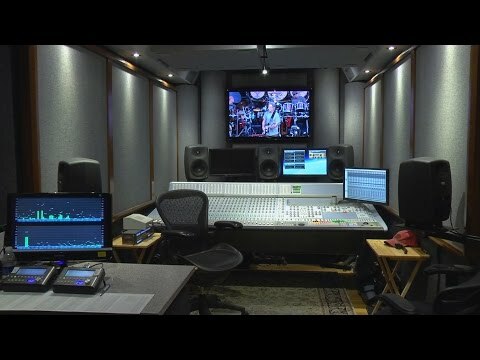 Some specialty cards, such as RME's HDSPe MADI FX card, Blackmagic Design's DeckLink 4K Extreme, and the Lynx AES16e 50, include a daughter card that mates with and provides additional external connections to the main card. The daughter card occupies the adjacent PCIe card space without filling a slot. The Echo Express SE II accommodates a daughter card's installation without wasting a slot. The Echo Express SE II's aluminum outer shell securely protects the cards inside and helps transfer heat away from them. The large and quiet, temperature-controlled fan automatically speeds up and slows down smoothly as needed, so there's no guesswork in deciding which switch position to select. The enclosure is ventilated front, back, and bottom to facilitate airflow over the cards. With its ability to accommodate cards up to 7.75" long, The Echo Express SE II supports nearly every Thunderbolt-compatible card available. PCIe 1.1, PCIe 2.0, and PCIe 3.0 cards are supported. Sonnet includes a Thunderbolt cable to connect the Echo Express SE II to your computer, and a ThunderLok Thunderbolt connector retainer clip(3) to secure the cable to the Echo chassis. Thunderbolt connectors are held in place by friction, which works well in situations where equipment remains undisturbed while operating. But when there’s a chance of movement nearby, there’s a chance the Thunderbolt cable can be unintentionally unplugged, possibly leading to loss of your work or data. Sonnet’s ThunderLok prevents accidental cable disconnections from the Echo chassis, and is easy to install and use—just slide it over one end of the cable, and then plug in the connector and secure it to the chassis by turning a thumbscrew. Because of its unique design, ThunderLok does not attach to the connector, but remains on the cable so it won’t get lost when not in use. Working on a local copy of a creative project may be your default. If your central storage and network can’t support the data rates you need for multiple streams of high resolution video, it may be your only option. That process of transferring files from shared storage to your desktop (and back again), is not only slow, it’s also extremely inefficient. To work at speed, you need the editor, FX artist, audio, colourist and titles to collaborate and work as a team. It’s not official, but it’s fantastic! Graphics cards installed in laptops tend to be low caffeine versions of high power desktop adapters. And some desktop computers have fairly modest graphics cards that are hard-wired and cannot be upgraded in the usual plug and play way. If you’re browsing the Internet or creating spreadsheets, this isn’t a big deal. But if you’re a gamer, video editor, colourist or 3D designer, you’re going to need a much stronger brew. 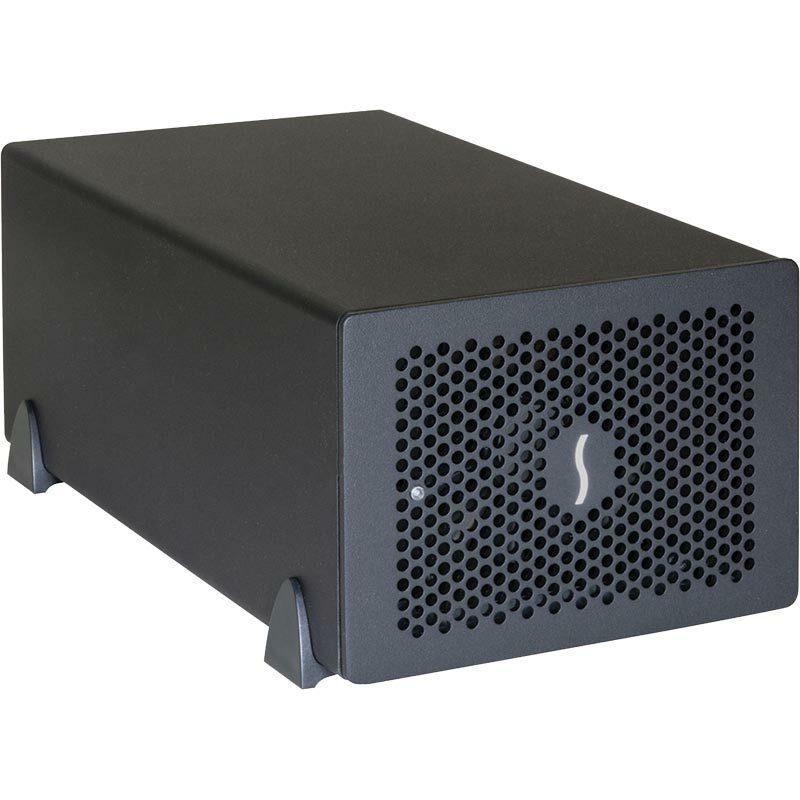 Sonnet Technologies today announced that its Echo™ Express III-D (desktop), Echo Express III-R (rackmount), and Echo Express SE II (desktop) Thunderbolt™-to-PCI Express® (PCIe®) card expansion chassis are the first devices of their kind to ship with 20 Gb/sec Thunderbolt 2 interfaces. These models, which began shipping this week, are the newest members of Sonnet's award-winning Echo Express family of expansion products that enable any Mac® computer equipped with Thunderbolt 2 or Thunderbolt ports to interface with a wide variety of high-performance PCIe cards originally designed only for use in desktop computers. The advent of Thunderbolt and Thunderbolt 2 is dramatically changing the shape, size and potential of workstations and professional laptops. With Sonnet expansion systems, these new powerhouse computers can now be adapted to use PCI cards and external systems to make them into the systems users need. 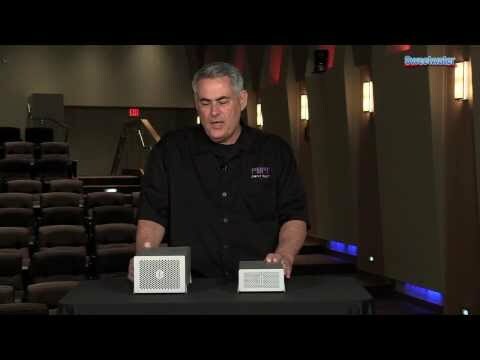 To conclude this Thunderbolt 2 expansion chassis review, we will say that the Sonnet Technologies Echo Express II is a definite go, not because it is the only available expansion chassis that supports Thunderbolt 2 but because it is a pretty good expansion chassis that will match your demanding mobile recording work requirements very well. Moreover, Sonnet Technologies is a company that has been around a while, being an Thunderbolt and Thunderbolt 2 expansion partner to big names like Adobe, Apple, ATTO, CalDigit and Lynx. Gb/s SATA PCIe Card with eSATA ports for 2.5-inch SSD drives.